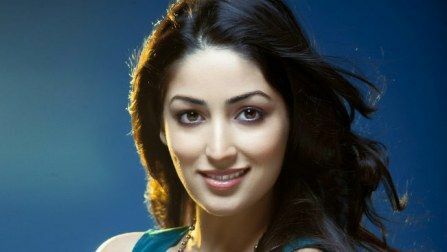 Actress Yami Gautam was down with fever a night prior her magazine shoot still managed to make it for her shoot the next day. The actress who was not keeping well since 2-3 days was advised by the doctor to rest for a few days before resuming her work. However her shoot for a magazine was planned since sometime and the actress had already given her word and didn’t want to break her commitment. Lots of other people involved in the process of the shoot had also given & blocked their dates. The actress felt it would not be correct to cancel the shoot end minute. Understanding this the actress pushed herself to do the shoot and reached the venue the next day. However, there were some technical glitches in the shoot like in any other shoot, but Yami was very co-operative and flexible. Yami was seen smiling throughout, the shoot wet on for 7 hours until she and the team were not fully convinced about getting good shots and were satisfied! Spokesperson adds, Yami is very particular about her work commitments. Once she finalises her dates, she tries to not change them. This is why she made sure to go for her shoot this time too. She was seen taking her medication in midst of the shoot to keep herself going through out the day. Yami is dedicated and passionate towards her work even if it is her health coming in her way.The actress kept her health issues aside and focused on her shoot. A good productive day gives Yami a good high and she pushes herself completely for it. When contacted Yami’s spokesperson confirmed the news. The actress is currently busy with her next film shoot with T-series.